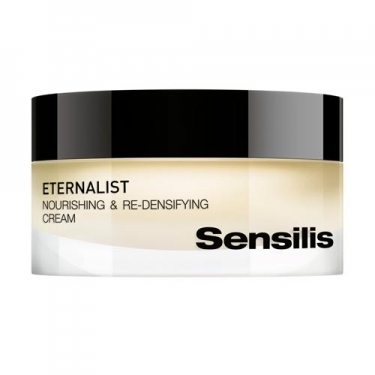 DESCRIPTION: Eternalist Nourishing & Re-Densifying Cream from Sensilis is an ultra-nourishing anti-aging treatment that repairs weakened skin over time. It offers high densifying efficacy thanks to the presence of Calcium associated with Alpha Hydroxymethionine and Homotaurina. An exclusive vitamin cocktail stimulates the metabolism, revitalizes your skin and gives light. The Essential Fatty Acids in combination with the Olive Extract exert an intense nutritive action. 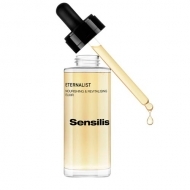 Combats wrinkles and lets your skin regain its tone, firmness and vitality. Indicated for mature, dry skin, devitalized or erased by the passage of time. Apply daily on face, neck and neckline, massaging until completely absorbed.